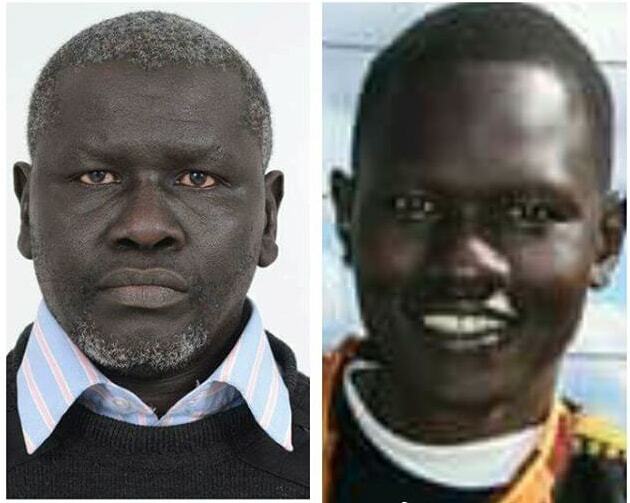 JUBA-The Enough Project, Human Rights Watch and other international voices have appealed to Kenyan authorities to immediately release of two South Sudanese citizens and political opposition figures, Aggrey Idri and Dong Samuel Luak. The two activists, according to their lawyer, are being detained by Kenyan authorities in Nairobi and have been subjected to a deportation order. Their lives and safety are at “immediate” risk, if they are extradited from Nairobi to Juba as ordered, the lawyer told rights bodies. The Enough Project, in a statement, called on Kenyan President Uhuru Kenyatta and the Kenyan security authorities to “immediately” release both men and nullify the deportation orders the are facing. Human Rights Watch also expressed concerns over the arrest of Luak, a South Sudanese lawyer and human rights advocate, saying he was denied access to legal counsel and could be deported. “Dong Samuel Luak has been a vocal advocate for human rights in South Sudan for many years, and could face serious mistreatment if returned to South Sudan,” said Leslie Lefkow, deputy Africa director at Human Rights Watch. “Kenyan authorities should respect his rights, allow him access to legal counsel and United Nations refugee officials, and immediately halt any deportation proceedings against him,” he added. Luak fled to Kenya in August 2013, after receiving death threats following his defense of Pagan Amum, the former secretary general of South Sudan’s governing party, whom the South Sudanese government had accused of involvement in treason. 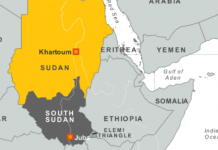 Since South Sudan’s conflict began in December 2013, Luak has continued publicly to denounce human rights abuses and corruption by South Sudanese government officials. In October 2015, he was brutally attacked at his home in Nairobi by men thought to be linked to South Sudan’s security services. Kenya has, in recent years, unlawfully deported several prominent opposition members from neighboring countries to their countries of origin, despite being recognized as refugees under Kenyan law and protests by the Office of the UN High Commissioner for Refugees (UNHCR). In November last year, Kenya deported James Gatdet Dak, who was South Sudan rebel leader, Riek Machar’s spokesperson. He is currently held, without charge, at South Sudan National Security Services (NSS) headquarters. There are serious concerns that the same fate, or worse, may await Luak if Kenya forcibly returns him to Juba, Human Rights Watch said. “Dong Samuel Luak is at serious risk of arbitrary detention, torture, and other abuses if returned to South Sudan,” stressed Lefkow. “Kenyan authorities need to respect their obligations under international and Kenyan law and ensure he is protected,” he added.